Vertical Ethiopia was published by Shama Publishing, an Ethiopian Publisher. The book is thus a collaborative African product with over half of the first print run having been sent to Addis Ababa for in-country sale. The first time I went to Ethiopia it was to write about coffee. I joined an expedition to search for a rare coffee bean, Geisha, that was thought to be from Ethiopia but had never been found. The relative of this coffee, in Panama, now garners over $100/lb on the market. We didn’t find Geisha, but I found Ethiopia. Then, the writer and climber in me then found the potential climbing. Ethiopia is the only country in Africa that was never colonized and Ethiopians are fiercely proud of their heritage. Ethiopians, and the Ethiopian government, are constantly combating a portrayal of their country as the dusty elbow of Africa. News travels fast in Addis Ababa, and when word got out that I was going to go on a climbing expedition in the north, and that I was a writer, Shama Publishing approached me about writing a book. What inspired Shama, and in turn inspired me, was a chance to show a different part of this complex country. I was able to work closely with Shama throughout the process to create a book that they wanted to show to the world. Was this always easy? Far from it. I had to abide by Ethiopia’s press rules, called some of the worst in the world. I could not talk about recent kidnappings, religious violence, or the mobilization of Ethiopian troops in the north. But I saw all of these things while I was there. I sat on a stoop in Axum, 40 miles from the Eritrean border, and watched as 27 trucks rolled by with soldiers going north. I organized a team of climbers to come to area where just a week before their arrival British workers were kidnapped. Ignoring these elements of my experience was not easy, but it was instructive. Vertical Ethiopia is not about an American writer going to Africa and creating a book with an American publisher that no one in Africa will ever see. To the contrary—half of the first print run is being shipped to Addis Ababa to be sold in Ethiopia. On every level, Vertical Ethiopia was collaborative. Gabe Rogel, the photographer and I, worked together to create a story with words and images. Back in the US, at his home in Driggs, Idaho, we sat in front of his computer for four days and laid out our tale. This was in June. I then spent the next six months going back and forth with Shama on the books design, content, cover, and message. It became normal for me to wake up at 5:30 in the morning, roll over, grab my phone, and call Ethiopia at the end of the workday. Later, when the book went to the printer in Dubai, in the United Arab Emirates, I learned that progress was only made on Monday, Tuesday, and Thursday—the only three days that my Muslim printer and Ethiopian publisher in a Christian workweek had in common. The result is a beautiful book with a multi-cultural history. Now it’s my turn to share the entire story behind Vertical Ethiopia. Though my book tour I am now able to address all of the other forces that were at work in the background of writing this book. By having to restrain this exploration in the writing of the book, however, I came to understand these other elements in an entirely different way. To appreciate art, we are told to first become neutral. What if adventure is art? What else could it really be? I did my best to see Ethiopia wholly as the experience I had. It’s from that first place of neutrality that I now share my story. In April, 2009, Majka finished a fourteen-month speaking tour around North America for Vertical Ethiopia. She continues to book Vertical Ethiopia events and also incorporates stories from Vertical Ethiopia into other presentations. Please read more about the Vertical Ethiopia Tour Below, and about Majka’s work as a speaker here. Vertical Ethiopia Tour: Possibility, Environment, and Adventure in the Horn of Africa. In March 2007, Majka Burhardt led a team of four women on an expedition to northern Ethiopia to climb virgin sandstone towers in a region of the world known primarily for its history of drought, famine, and war. 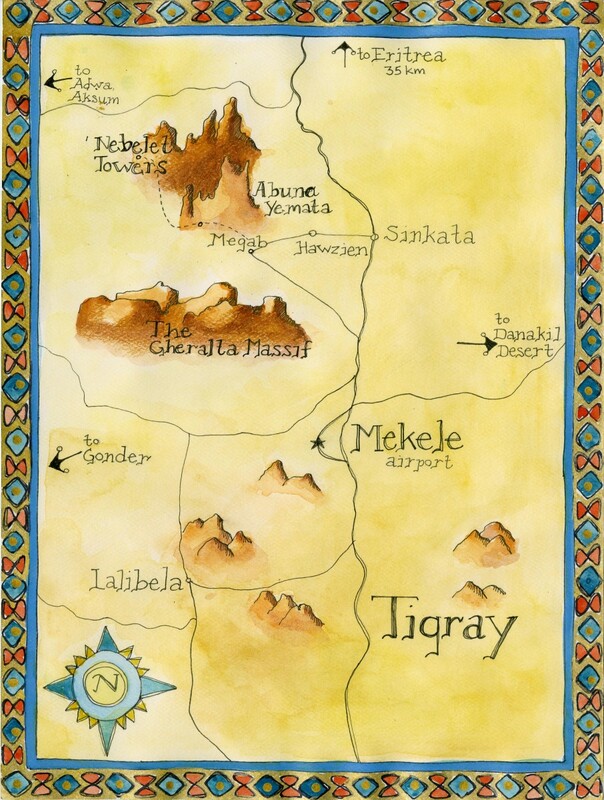 Majka’s adventures and the people, politics, and potential of Ethiopia are chronicled in her book Vertical Ethiopia: Climbing Towards Possibility in the Horn of Africa, from Shama Publishing. Vertical Ethiopia is a large-format coffee table book featuring Gabe Rogel’s stunning imagery and a series of vignettes that together reveal what it means to climb, to travel, and to explore. In conjunction with the publication of Vertical Ethiopia, Majka spoke to over forty-five audiences throughout the United States and Canada from January 2008 to March 2009. From the Seattle IMAX Theater, to a small independent book store in Miami Beach, from crowds of 30-300, Majka’s talks run the gamut. 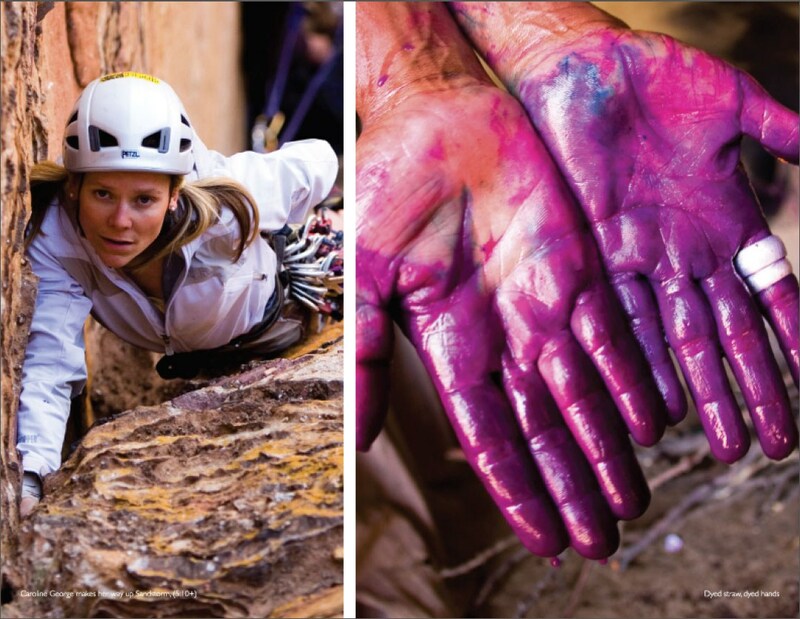 Her presentations combine a slideshow filled with images of climbing, culture, and the immense African landscape with a narrative behind the images. As a speaker, Majka is interested in exploring new ways of understanding Ethiopia in the midst of the current global landscape where religion, politics, and landscape continually interact and react. Majka explored Ethiopia while establishing first ascents on 600’ sandstone towers. Her presentation explores Ethiopia at its multiple points of intersection with the rest of the world. Vertical Ethiopia is a unique collaboration with an Ethiopian publishing company, Shama, a company committed to presenting Africa and Ethiopia in a more positive and realistic light. Through working with Shama, Majka learned to navigate the Ethiopian press rules in a country that has been called one of the worst in the world for freedom of the written word. In her presentation, she shares the full story of her experience—discussing various obstacles the Ethiopian press rules presented to portraying the current military offensive towards Eritrea, recent kidnappings, and the Ethiopian anti-violence movement. 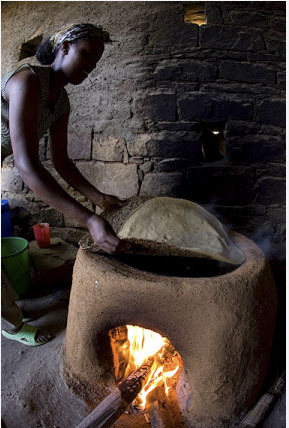 Thus, Vertical Ethiopia is more than a story about Ethiopia. It is a story about the making of an Ethiopian product at a time when the nation is on the brink of becoming a global industrial player while trudging through the vestiges of its communist and corrupt past. ..a coffee-table book illuminating the adventure of exploring new rocks and the real face of Ethiopia 'Going Vertical in Ethiopia.' The Daily Camera Profile Boulder Colorado. 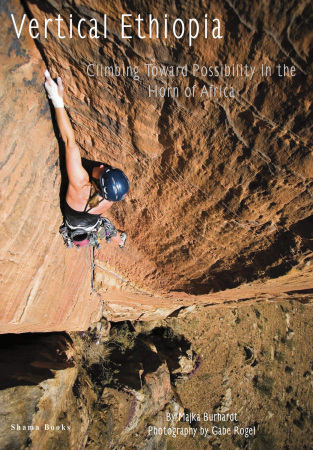 Burhardt’s new book, “Vertical Ethiopia: Climbing Toward Possibility in the Horn of Africa,” explores that landscape through climbing and seeks to point out the difference between perceptions of Ethiopia and the country’s real potential. 'Writers Explore the Outdoors.' The Steamboat Pilot, Steamboat, Colorado. A review of Vertical Ethiopia and profile of Majka and fellow author Pete Takeda in Rocky Mountain Sports. May 9th, 2008 Live interview.